We’re thrilled that our platform, people and company have been recognized by the following organizations. Now entering its 23rd year, the Brandon Hall Group Excellence Awards is the most prestigious awards program in the industry. Often called the “Academy Awards” by Learning, Talent and Business Executives, the program was one of the first of its kind when it debuted in 1994. The awards recognize the best organizations that have successfully developed and deployed programs, strategies, modalities, processes, systems, and tools that have achieved measurable results. Axonify has been recognized with two Gold awards in the categories of Best Advance in Learning Management Measurement/Business Impact Tools and Best Advance in Unique Learning Technology. Axonify has also won a Silver award in the category of Best Advance in Onboarding Technology. Axonify was recognized with a silver medal at the 2017 Learning Technologies Awards in the UK for “Learning Technologies of the Year – International”. The judges were blown away by the results and the product. They said: “The hard-statistical data collected from customers showed very impressive results. If any other company in our industry could show similar results (or even cared about this type of business results) e-learning would be in a VERY different place. The research effort they are putting into the product is impressive.” The Learning Technologies Awards is an international scheme which has been rewarding learning technologies excellence since 2005. The Awards showcase some of the most recognisable, memorable, and life-changing learning technologies and e-learning worldwide. BT was recognized with a bronze medal at the 2017 Learning Technologies Awards in the UK for “Best learning technologies project – UK commercial sector”. BT Consumer, the retail arm of BT, turned to adaptive microlearning from Axonify when they needed to reduce onboarding time and improve customer service. 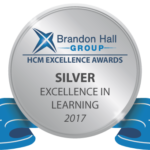 At Home décor, the home décor superstore and Axonify, won a coveted Brandon Hall Group silver award for excellence in the “Best Learning Program Supporting a Change Transformation Business Strategy” category. The Brandon Hall Group Excellence Awards Program is one of the most prestigious awards programs in the industry. Great Place to Work® is the global authority on building, sustaining and recognizing high-trust, high-performing workplace cultures. The lists of Best Workplaces™ recognize the organizations that are advancing best-in-class management practices to fully engage their workforces, delight their customers and contribute to their communities. Axonify was Great Place to Work Certified™ in 2017 and 2018, and named on the following lists: Best Workplaces™ Canada 2018, Best Workplaces™ in Technology 2017 and 2018, Best Workplaces™ for Women 2018, Best Workplaces™ for Inclusion 2018, Best Workplaces™ for Millennials 2017, Best Workplaces™ in Canada - Medium 2017, and Best Workplaces™ for Celebrating Success 2017. For the second year in a row, Axonify was named as one of the country’s top employers, according to the 2019 Aon Best Employers in Canada. 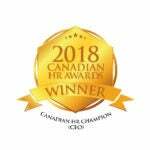 Carol Leaman was selected as the Canadian HR Champion (CEO) in the 5th annual Canadian HR Awards, which recognizes the companies and individuals who foster leadership, service, innovation, and support. For the second year in a row, Training Industry names Axonify one of the Top 20 Health and Safety Training Companies, as a proven to be leader in health and safety training sector. 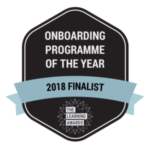 Axonify is a finalist in the 2018 Learning Awards by The Learning and Performance Institute (LPI) for Onboarding Program of the Year. Award winners will be announced at the The Learning Awards ceremony on 1st February 2018. 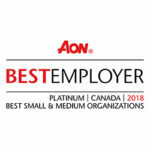 Axonify, the company behind the world’s first Employee Knowledge Platform is one of the country’s top employers, according to the 2018 Aon Best Employers in Canada. Training Industry names Axonify one of the Top 20 Training Delivery Companies, as part of its mission to continually monitor the training marketplace for the best technologies in support of corporate learning and development. Canadian Business and PROFIT ranked Axonify, the company behind the world’s first Employee Knowledge Platform, No. 25 on the 29th annual PROFIT 500, the definitive ranking of Canada’s Fastest-Growing Companies. Axonify made the 2017 PROFIT 500 list with an astounding five-year revenue growth of 2,421%. Training Industry names Axonify one of the Top 20 Health and Safety Training Companies, as part of its mission to continually monitor the training marketplace for the best providers of training services and technologies. Chad McIntosh, Vice President of Loss Prevention and Asset Management at Bloomingdales wins a 2017 Retail Innovator Award. The Retail Innovator Award program is recognizing retail executives who are focused on driving change and positive disruption using innovative strategies and technologies. 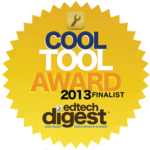 EdTech Digest recognizes people in and around education for outstanding contributions in transforming education through technology to enrich the lives of learners everywhere. 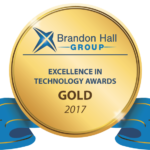 Axonify won two coveted Brandon Hall Group gold awards for excellence in the Best Advance in Unique Learning Technology category and the Best Advance in Learning Management Measurement/Business Impact Tools category. 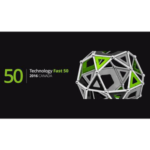 Axonify was named one of Canada’s fastest growing technology companies in the 19th annual Deloitte Technology Fast 50™ awards. Axonify ranked 10th with a 1519.6% growth in revenue from 2012 to 2015. Additionally, Axonify was named the 84th Fastest Growing Company in North America on Deloitte’s 2016 TechnologyFast 500™. Jane Hart runs the Centre for Learning and Performance Technologies (C4LPT). 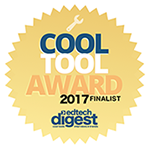 Each year she compiles a list of the the Top 200 Tools for Learning based on the votes of learning professionals worldwide. In 2016, Axonify was recognized as #172 on this list. Additionally, Axonify ranked #98 on the Top 100 Tools for Workplace Learning, which Jane also complies each year. 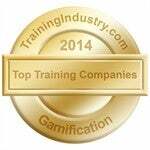 TrainingIndustry.com continuously monitors the training marketplace looking for the best providers of gamification services and technologies. This award is given to the top 20 companies. Due to the diversity of services included in gamification, no attempt is made to rank the top companies. The Excellence Awards recognize the best organizations that have successfully deployed programs, strategies, modalities, processes, systems, and tools that have achieved measurable results. The program attracts entrants from leading corporations as well as mid-market and smaller firms around the world. Stevie Awards are given out annually to recognize the achievements of women-owned and -run organizations worldwide. To be eligible for these categories, an organization must be at least 50% owned by one or more women, and/or have a woman as its chief executive and at least 40% of its management team must be comprised of women. The Excellence Awards recognize the best organizations that have successfully deployed Brandon Hall 2014programs, strategies, modalities, processes, systems, and tools that have achieved measurable results. The program attracts entrants from leading corporations as well as mid-market and smaller firms around the world. The Technology Fast 50™ program celebrates the world-class achievements and the tremendous evolution of the Canadian technology sector. This research showcases innovations in adaptive learning, talent assessments, operations and workforce intelligence, and digitized HR document management. 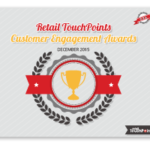 Retail Touch Points is honouring top executives who have helped improve the consumer shopping experience and uncover new ways to positively impact the retail industry with innovative ideas and solutions. 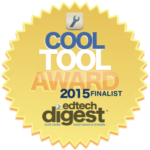 AEdTech Digest recognizes people in and around education for outstanding contributions in transforming education through technology to enrich the lives of learners everywhere. The WhatWorks Awards showcase real solutions that demonstrate measurable real-world success to challenges that inevitably arise in a world where change is the only constant. The HR Trailblazers Award is based on a speech in which participants are to demonstrate their visions of key trends in learning. The Fortune magazine pitch competition is awarded to a start up company that is able to deliver the “perfect” elevator pitch at the brainstorm tech conference. Each year Fortune magazine selects one winner from the brainstorm tech conference, based on the quality of the elevator pitch about their start up company. Looking for more information about our award-winning platform? We’d love to talk.